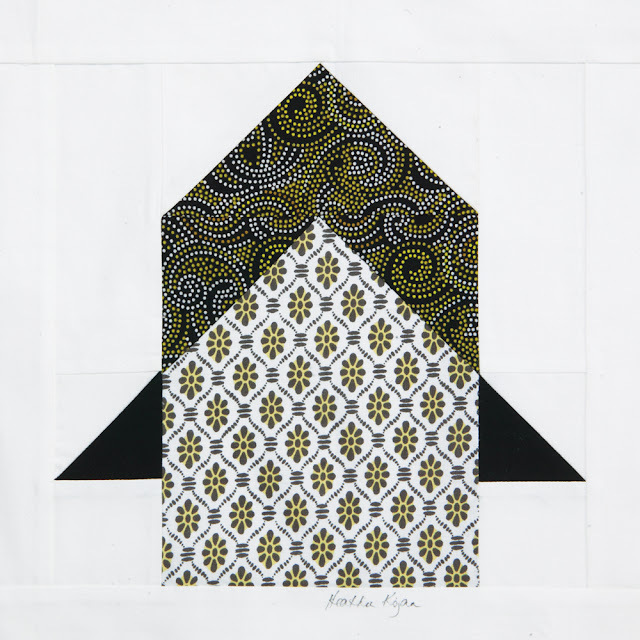 heather kojan quilts: Quiltmaker's 100 Blocks Volume 13 Blog Hop and Giveaway! 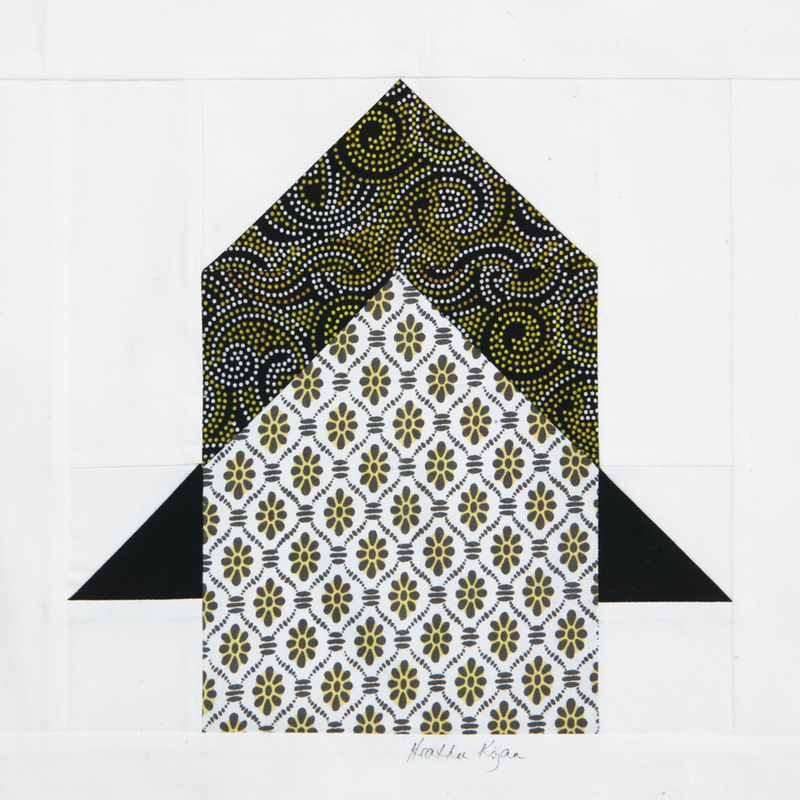 Quiltmaker's 100 Blocks Volume 13 Blog Hop and Giveaway! Welcome to Day 2 of the Blog Hop! I love Quiltmaker's 100 Blocks ~ like a mini encyclopedia of new blocks twice a year! Here's what the latest edition look like, so you can find it at your favorite quilt shop or craft store. You can find the complete list of blog hoppers here. Giveaway information at the end of the post! My block for Volume 13 is called Rocket. The inspiration for this block came courtesy of a Holiday Inn. Yes, inspiration is everywhere! I was teaching near Atlanta about a year ago. 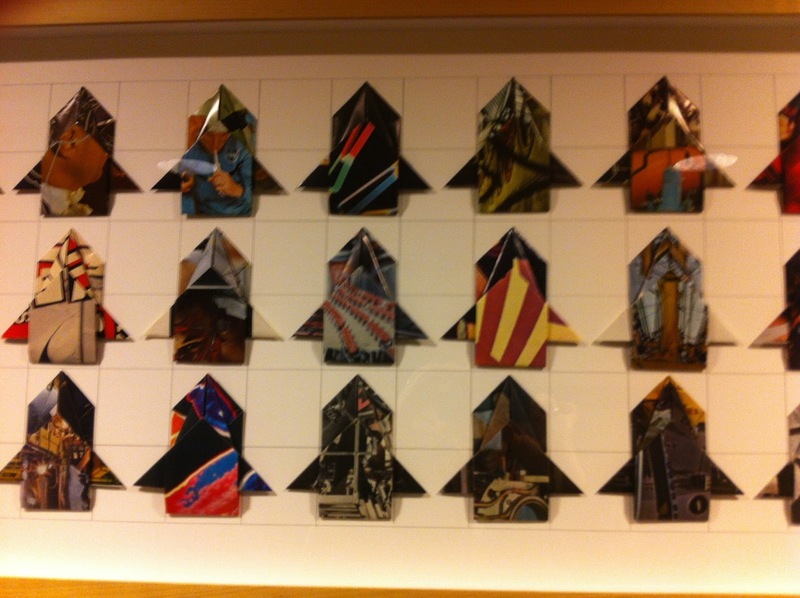 Throughout the Holiday Inn were these origami art pieces with little rockets. Of course, I thought quilt block. But then again, I always think quilt block. Simple, graphic. Just what I like! And so many options for different color ways. I love the neutral palette with the pop of aqua/red, don't you? I did a quick mock up of Rocket in EQ7. I thought this would be a sweet quilt for a toddler. What do you think? Should I write up a pattern? Thanks so much for stopping by, and enjoy the rest of the blog hop! I did sign up for your newsletter! Yay! Your block would make a great boys quilt. I love this block. I'm going to add it to my library for children's quilts. Cute block! Thanks for a chance to win a copy of the magazine. Cute block. Luv your story about inspiration coming from all over. I design patterns, too,and it is so true! Good luck with your Blog Tour today. I saw a penguin before I saw the rockets. yes, you should write up your rocket pattern! What a wonderful rocket pattern! Congrats! Love your block, I make lots of quilts for children and am always looking for clever blocks to make and use in quilts. This fits the bill for some future astonaut, or physicist, or aeronautical engineer. Great kids block, and a reminder that inspiration is everywhere if you look for it, thanks for sharing. congratulations. such a cute block. i love it with the tails. love how you came up with this block. Great block for a boy's quilt! Fun rocket for quilts! 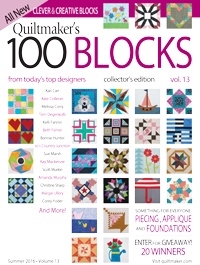 Congrats on having your block included in the Quiltmaker's 100 blocks issue and Thank you for the giveaway! Your block is amazing! Very creative. Good block design for any child. I already subscribe to your blog. I love learning about how others are inspired. Thanks for sharing your story and for the chance to win! Your block would make a great quilt for a boy. Now all I need is a boy to make it for. Simple - graphic - Just like your block, Rocket. Can't get much better than that. Also enjoy so many options for different color ways. Thank you for being a part of QM's 100 Blocks and the chance to try and win a copy of this magazine for myself. The perfect block for my rocket scientist husband! Thanks Heather! The perfect block for my space-loving grandsons! Wow - the oragami is really unusual! Wonderful interpretation!! Thanks for the chance! Love the rockets! I am looking for space themed ideas for child's quilt. Cute block--love how you found your inspiration! I've signed up for your newsletter! I'm already a follower on IG--breezypointquilter. 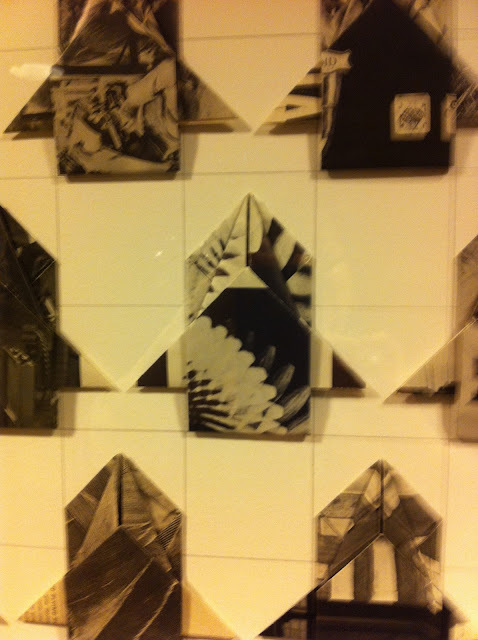 I'm glad I'm not the only one who sees quilt blocks everywhere! Yep, quilters see patterns for quilt blocks everywhere they go! Rockets is an adorable block! Great childrens' block! Thanks for the giveaway. The rocket block is great - you should absolutely create a pattern with the flames added! There are never enough patterns suitable for little boys (or for girls who like rockets for that matter). What a great rocket block! I'm sure some little boys would love to have their own rocket quilt. The rockets are cute! Would make a great kid's quilt. Yes, your unique rocket pattern idea is a winner. I like the EQ7 layout quilt pattern. Yes, yes! Write up a pattern! I have a slew of little boys in the family that are going to be over the moon for rocket quilts! I subscribed to your newsletter! Can't wait to see what inspiration you come up with next! What a fun pattern. Thanks for sharing it with us. How endogenous - thanks for sharing. What a fun block! Thanks for the rocket idea. I don't think you can go wrong with a rocket pattern--so many kids (young and old) love space travel. Great block! So perfect for a little boys quilt. Congratulations on having your block in Quiltmaker's 100. A great block that I'm sure my grandsons would love. I LOVE your inspiration for your block! And yes, it would make an awesome quilt for a boy! Or girl too! I am on your news letter reply! I love your quilt named Roy!!! The rocket is great idea for a boys space quilt! Love your block. It would make a wonderful kid's quilt. Congratulations on your block being selected. Your block and quilt designs are just wonderful! Funny the places we find inspiration, isn't it? what a fun block for a little boy! Congrats on such a cool block!! I signed up for your newsletter also! Cute block! I bet little boys would love it. It's fun to see your inspiration translated into fabric. That is so cute, it would make an amazing quilt for a little boy. neat quilt block. Boys or girls quilt pieces.. Love it. Your rocket block is fun and unique. great block ... do work up the pattern! Wonderful block and with summer coming and fireworks, it's perfect. I signed up for your newsletter, thanks. Now that is a creative block. Thanks for sharing. I know a little girl who'd love a rocket quilt as her daddy is an aeronautical engineer. She loves all things to do with rockets. Interesting. One way I looked at it I thought it could be a bird house (by leaving off the bottom flame). Thanks for the chance to win. An interesting block and I like the colorway. Yes inspiration is everywhere you look. Thank you for a chance to win. I love your rocket and it is amazing what can be inspiring when you just look around you. I am following you on instragram. My husband watches the NASA Channel all of the time. What a fun block! Thanks for sharing the backstory about the inspiration! Cool block - my great nephews would love it. Thanks. I'm subscribed to your newsletter. Thanks again. You should definitely make up a pattern - it would be a great little boy's quilt. I've also signed up for your newsletters. Thanks for the giveaway. Nice block... I can see this as a boy's quilt but it could be modified for military service folks as well. This block would be so cute with novelty fabric, especially of planets, or planes, or clouds...hmmmm. I adore rockets, takes me back to the space days. Too bad this generation doesn't have that much fun. I try to keep my E-mail down so I am following you already on BL. yes, please, make a pattern! I have 3 boys, so I'm usually on the lookout for. boy patterns. Neat block, that rocket. The quilt looks like a perfect little boy's quilt. Pattern is a great idea. Fun block. And Congrats on getting your block in the magazine! My grandson is 5. No longer a toddler and he would love that quilt. Actually he loves all vehicles (he can name most of the cars he sees) so I think that block would look great in a sampler quilt. With those flames. Definitely with the flames! Thanks for the chance to win such a great book. Your block is really cute. I have a grandson who might like the quilt using this block. I have a son who is rocket happy! Your block is on the top of my to-do list!! Congrats on being in the issue!! Love the rocket! I am excited to start receiving your newsletter. Congratulations! I love your rocket block...it would make a great quilt or pillow for a little boy! I signed up for your newsletter....can't wait to receive them! This block would make a really cute quilt for my grandson who loves rockets! Quilting inspiration can strike anywhere. My husband came out of a man's restroom once and said the floor tiles would make a good quilt block. It was tempting! Following on Instagram as Tu-Na Quilts. This was a wonderful read on the backstory to your inspiration for your block. What an original block, even tho the inspiration came from Holiday Inn. It was nice that you actually followed through after seeing the blocks. I always say what a neat idea, I should make it out of fabric. Now many others will make your design...what fun! I really like the extra block that makes it into a rocket. Thanks so much for sharing. What an interesting block! When I first saw it before I had scrolled down the thought that went through my mind was origami so you did a fantastic job of interpretation. I have an airline napkin that I have been hanging onto that has given me inspiration for a quilt. Now I just need to turn it into a quilt. Cute block for a little boy's quilt --- and I have just the the grandson who would love it! I'm picturing it going off in many directions. What a cute idea for a boy's quilt! What an unusual block! It is striking. Cute block!! I just became a Grandma to a wonderful grand son so your design will come in handy!! Thanks! Cute block for a kid's quilt. I love Rocket, particularly the EQ7 version. Perfect for my grandson. Very cool block. I like the layouts. I think any young boy would love a quilt made with this block. What a clever idea. My great grandson would love a quilt with this block.--swalker287 (at) aol (com). 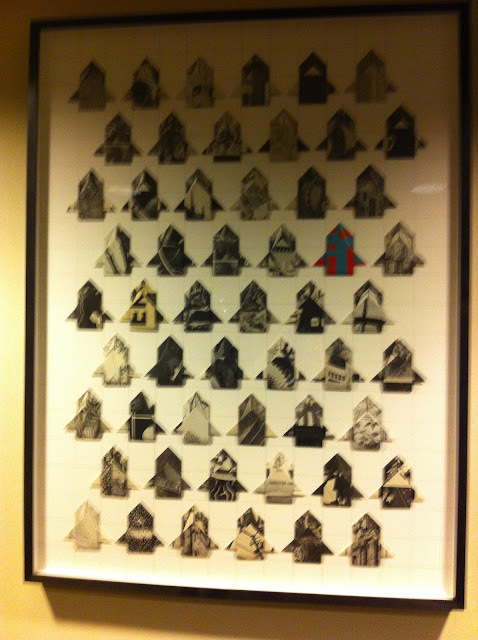 Very fun to see the inspiration for the block! That's such a clever block! I have a cute little guy in mind for a rocket quilt, and an adorable astronaut-crazy little girl, too! Perfect block for a little boys quilt especially with the tails added. I am a newsletter subscriber. Love receiving news about your activities. Love the block. Very clever. I would love to win this Quiltmaker magazine. Congrats on having your block included! CONGRATS ON YOUR BLOCK! NEAT GIVEAWAY>THANK YOU! Congratulations on have such a cute block in the magazine!!! Love it! I am a seasoned follower of your blog. @farmquilting follows you in IG! I enjoyed how you were inspired to create your rocket. Your block turned out great. I also follow you via Instagram. What a cute block! And simple is definitely the best way to go! Having worked at NASA's Johnson Space Center for 10 years and then for Universiti s Space Research Association, I really appr crate good space themed quilts and blocks. I also love the 100 blocks magazines since I love making mini quilts! I have never done any curved pieces. But I'm about to make a quilt for a wedding present that has curved pieces. The wedding has passed I think I'm a little hesitant. My kids used to race with friends.